To close, align the top two edges, roll down tightly at least three times, secure by turning the buckle towards you and clicking it closed. 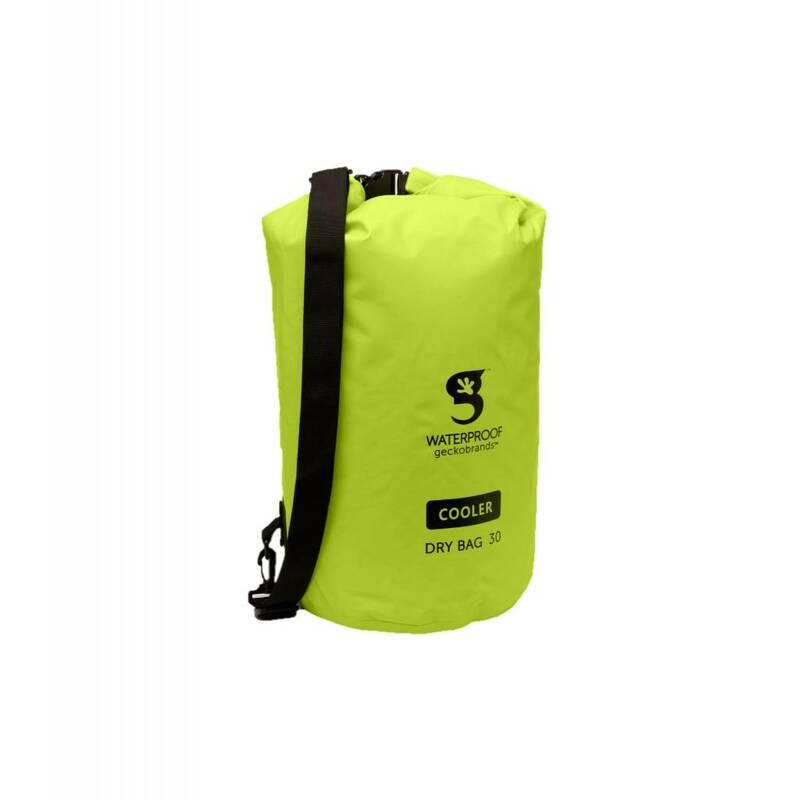 Adjust the shoulder straps for optimal fit. 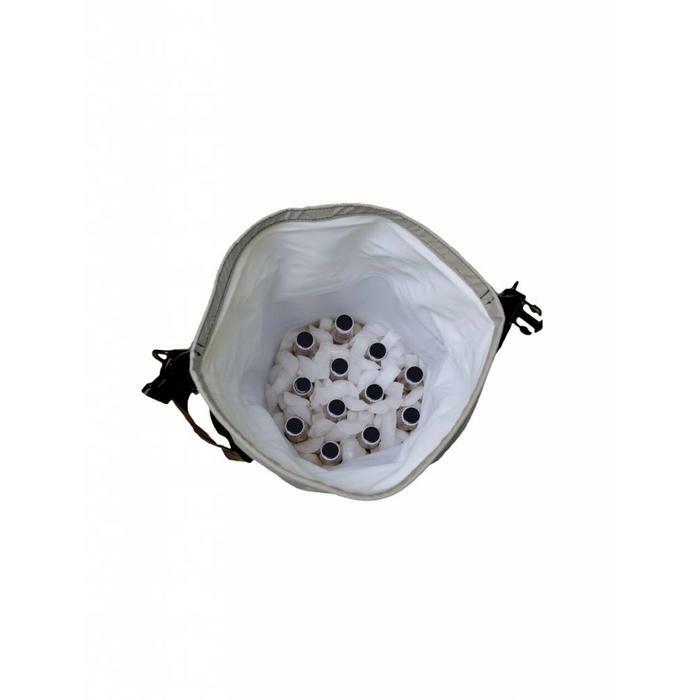 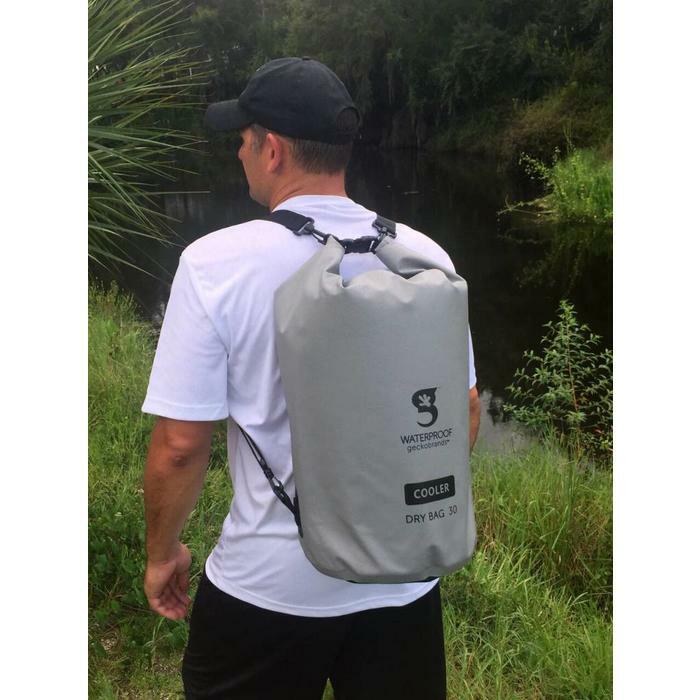 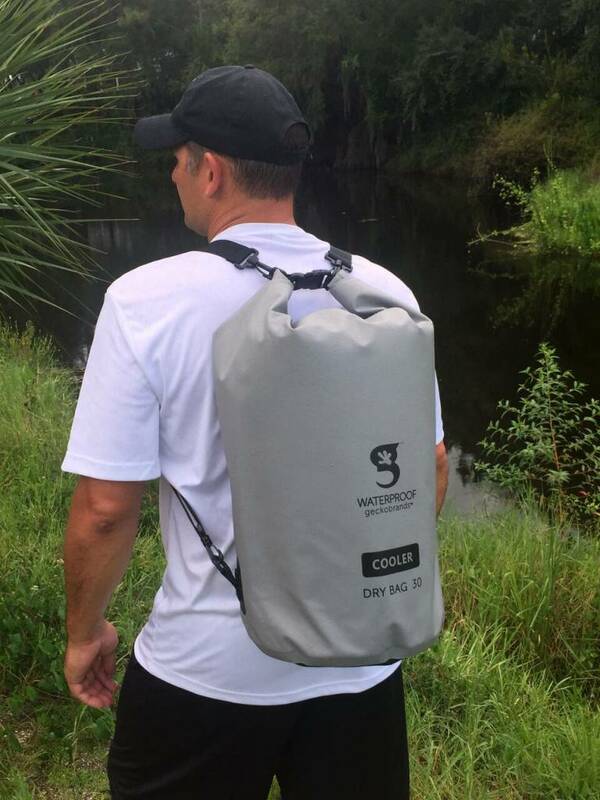 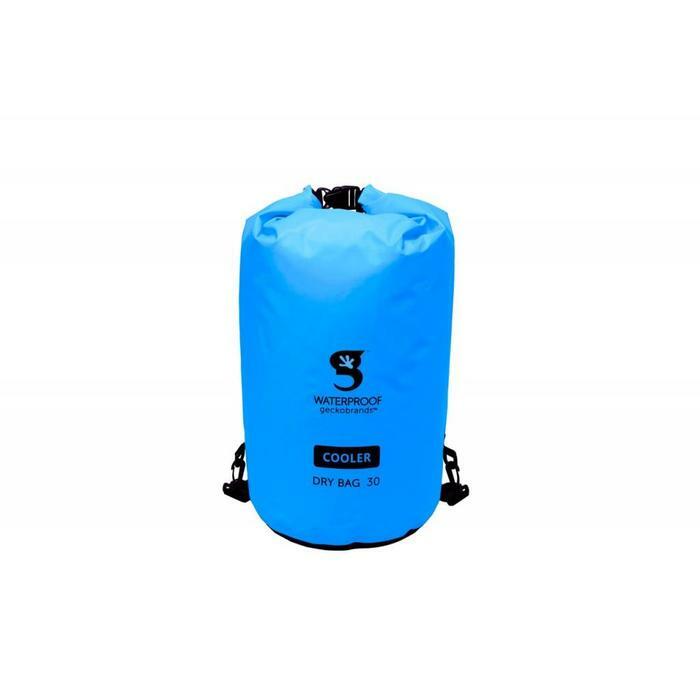 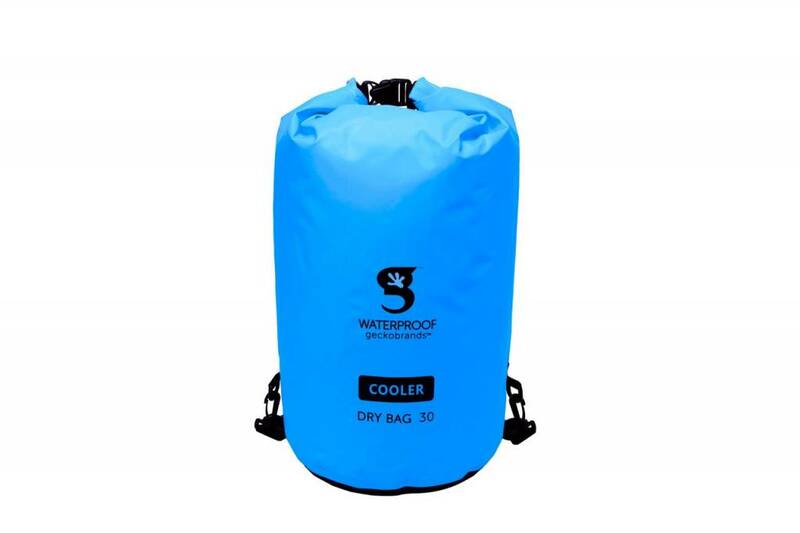 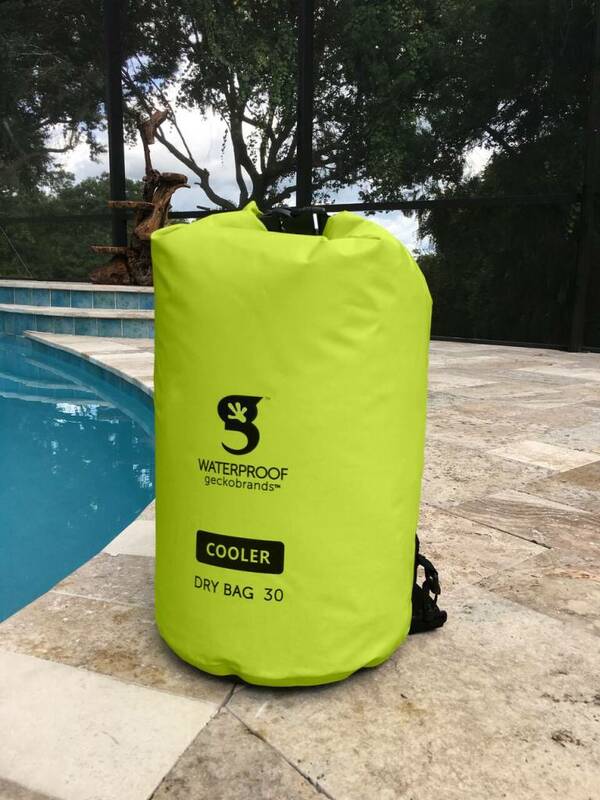 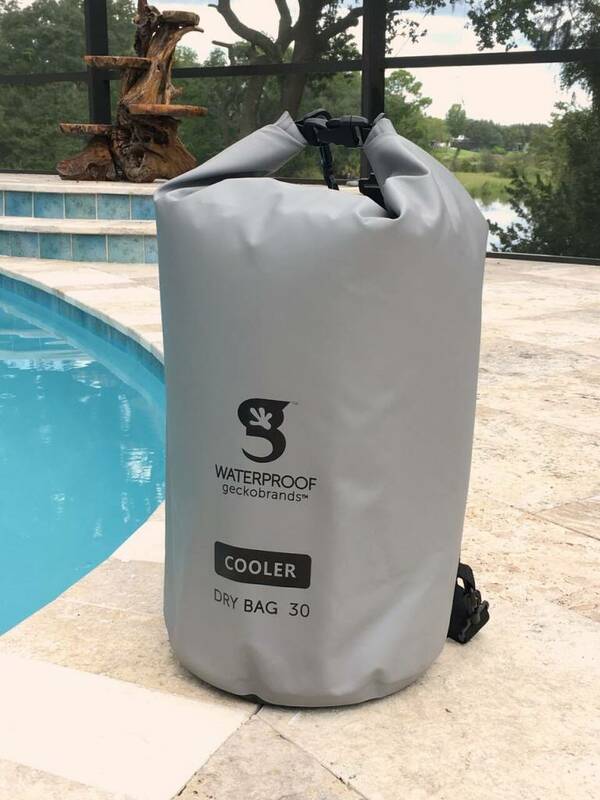 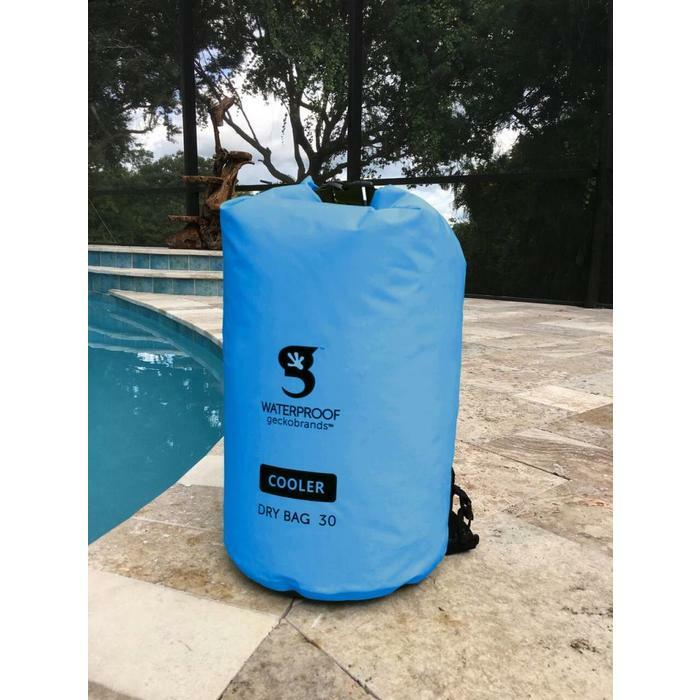 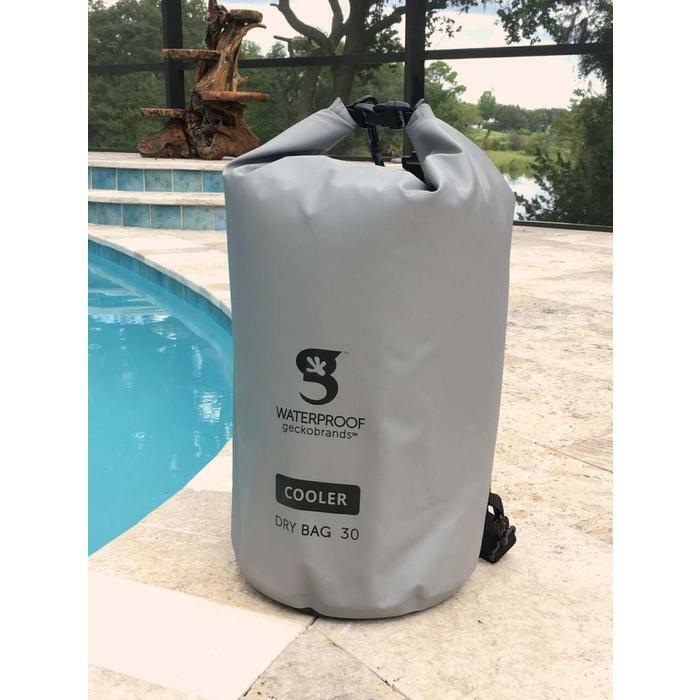 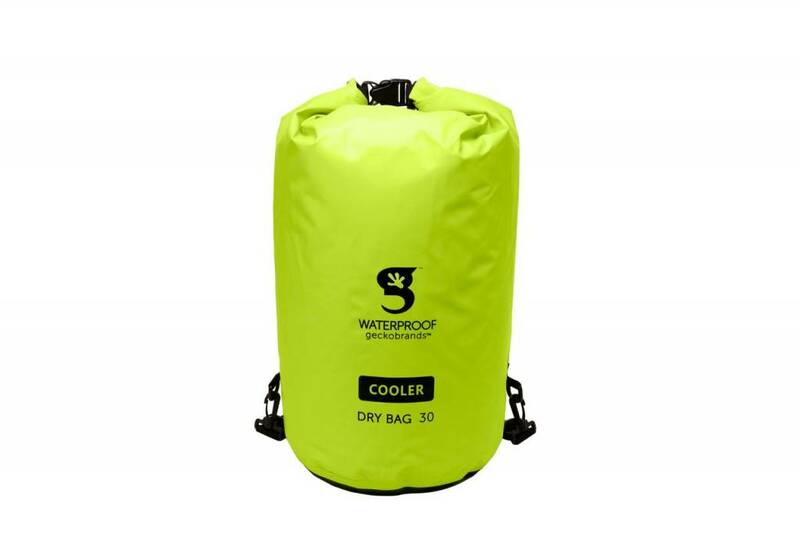 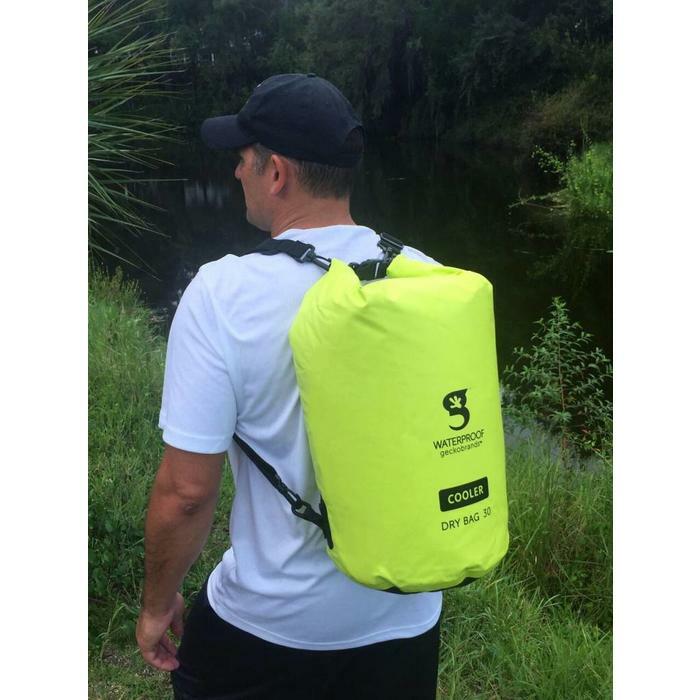 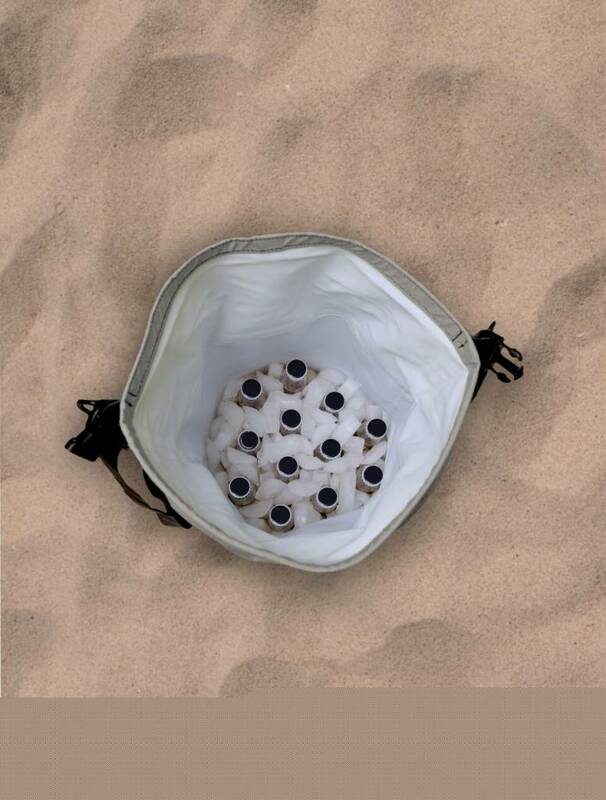 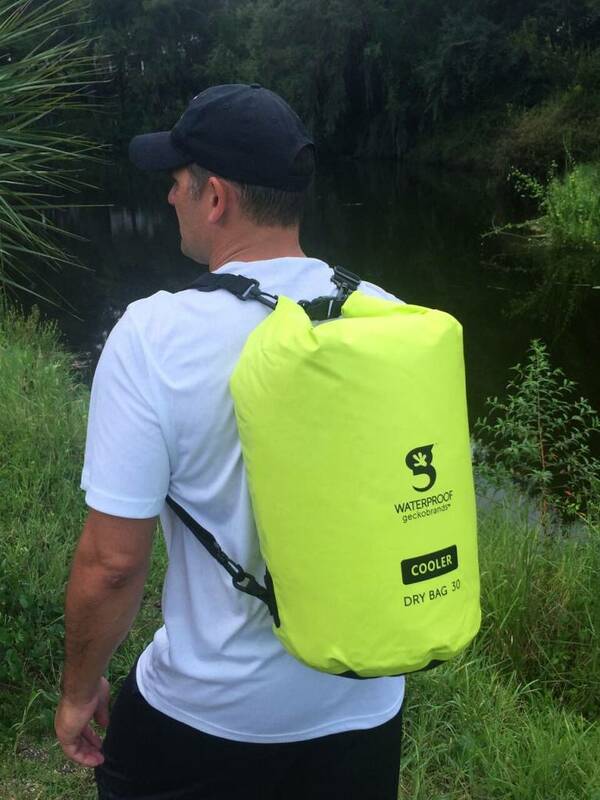 The dry bag is not intended for use as a flotation device. 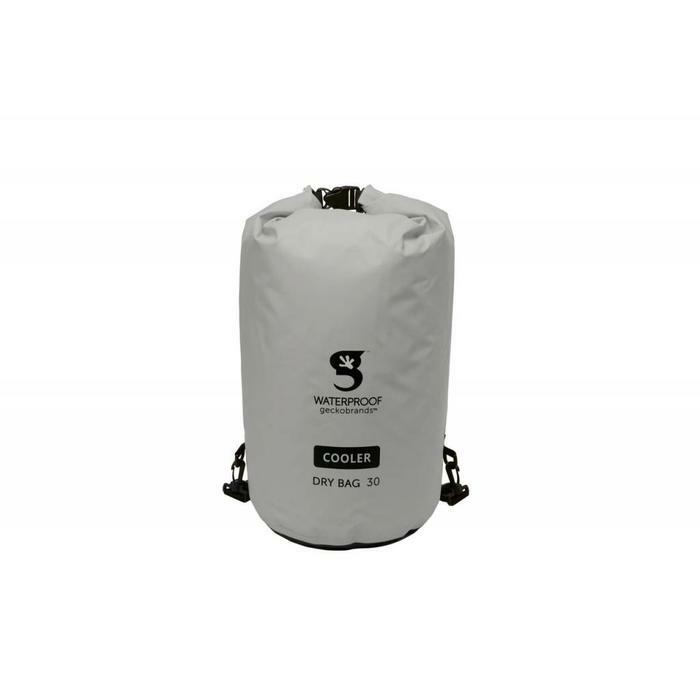 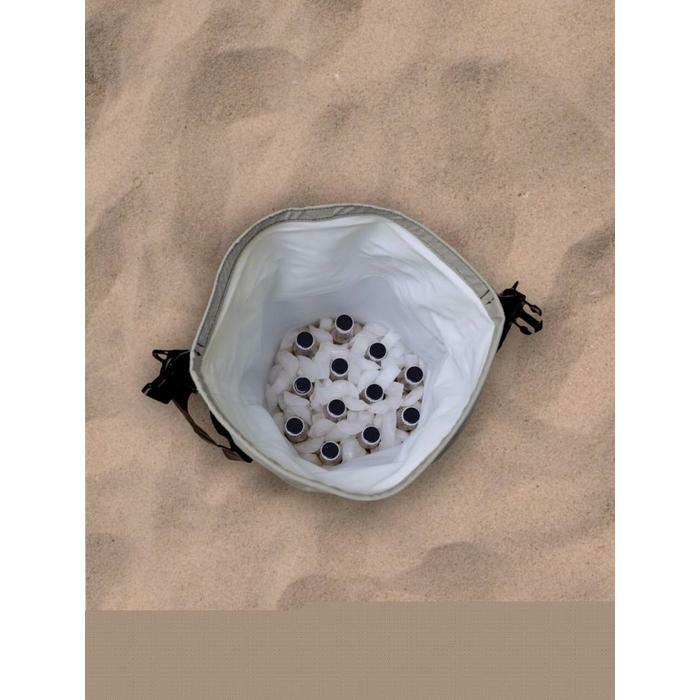 The success of the bag depends on proper closure and protection from sharp objects. 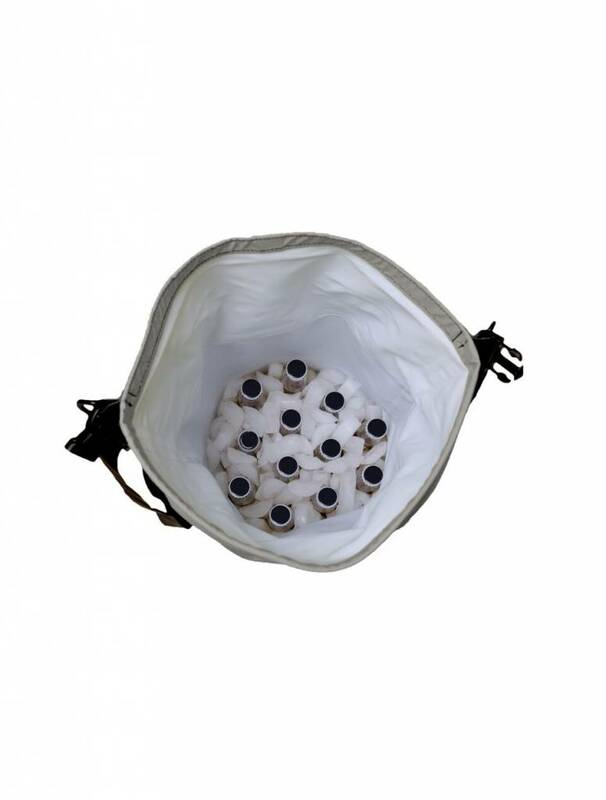 Inspect the bag before each use for punctures or tears. 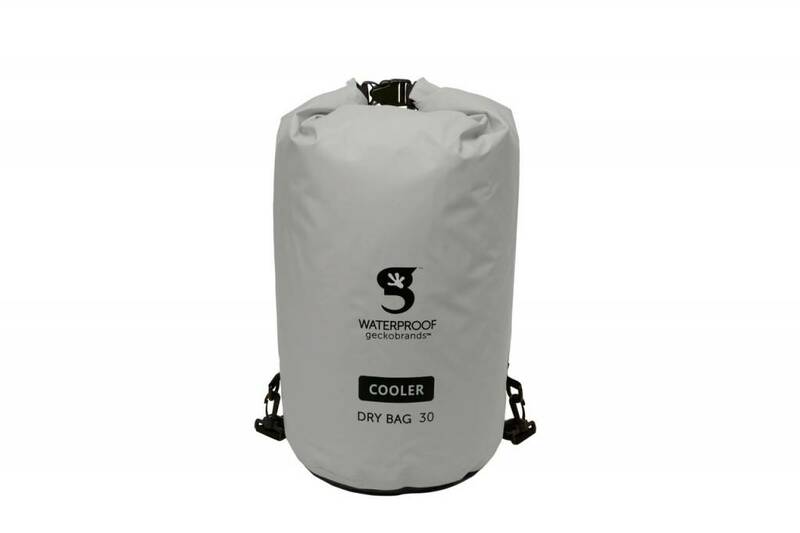 We recommend testing the dry bag prior to each use by filling with air, closing properly and squeezing to deterimine if air releases. 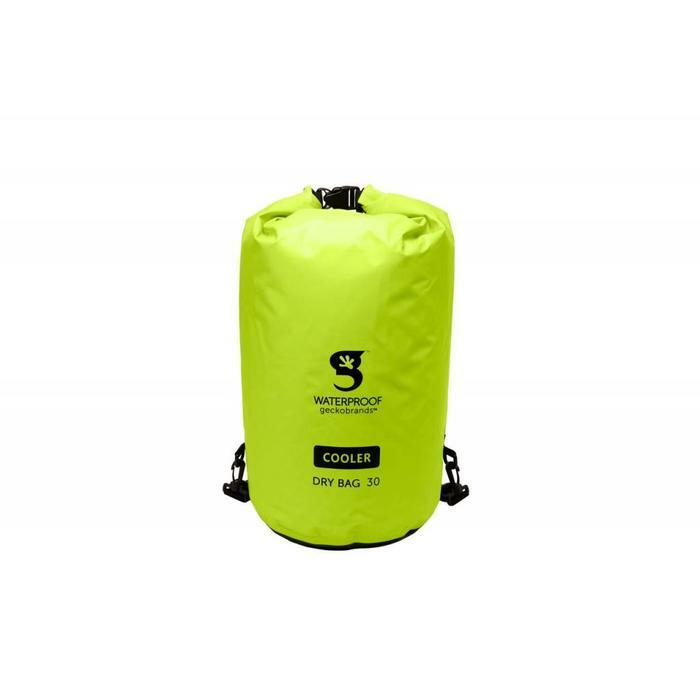 Geckobrands is not responsible for damage caused to the contents of the bag.